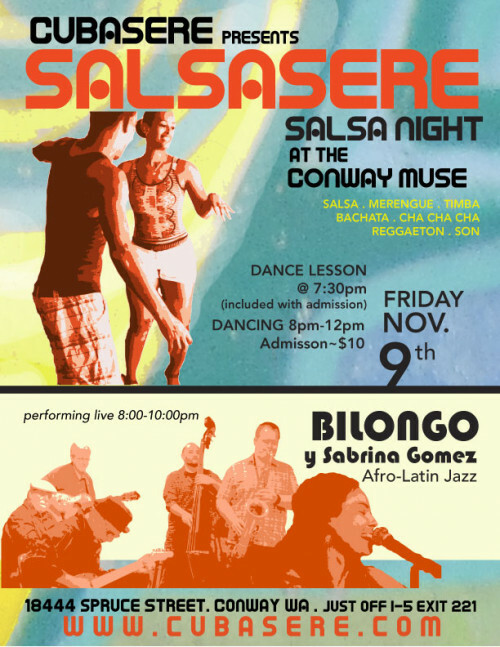 Cubasere Dance brings you SALSASERE Salsa Night, a monthly Latin dance night playing Salsa, Bachata, Merengue, Son, Cha Cha Cha, Timba, Reggaeton & more! 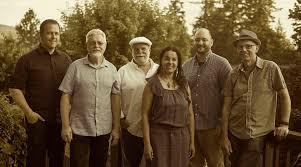 Special live performance by Afro-Latin Jazz band, Bilongo y Sabrina Gomez from 8:00-10:00pm. Included with admission is a half-hour dance lesson with Yasmare of Cubasere. The lesson will start at 7:30pm and will follow with social dancing from 8pm-12am. The Conway Muse has a full bar and food available at the venue. All ages until 11pm. $10 admission. For more information email info@cubasere.com.